Mark: Comic book fans and, of course, readers of this site will be familiar with the idea of a “retcon” in comics — basically, a piece of new information that updates (often by contradicting) previous information. 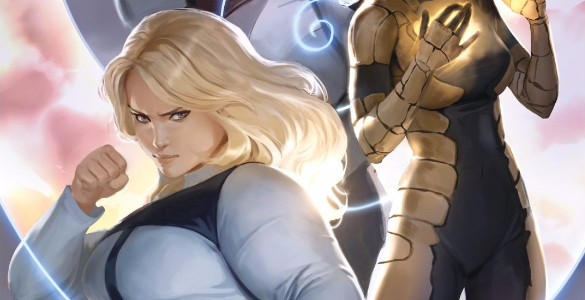 Usually retcons happen with shifts in creative teams, character relaunches, or when reaching back deep into a line’s history to incorporate some historical element that doesn’t quite fit in the modern landscape. 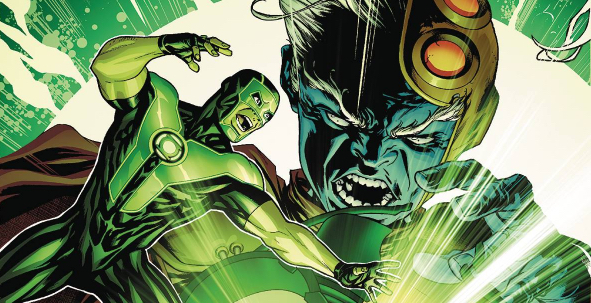 Much more rare is the retcon-ing of information from a mere six issues in the past — an issue written by the same author, no less — but that’s the case in Tim Seeley, Barnaby Bagenda, and Tom Derenick’s Green Lanterns 41. 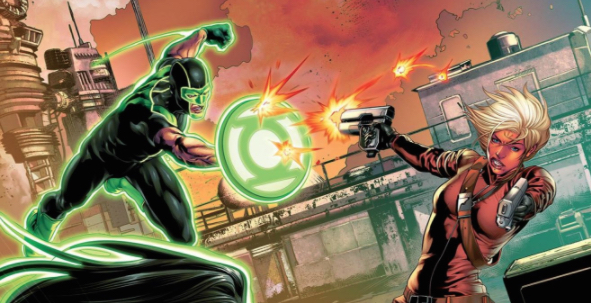 The issue opens with a depiction of Simon Baz and Night Pilot’s date, the aftermath of which seeded the “Superhuman Trafficking” arc back in Green Lanterns 35. 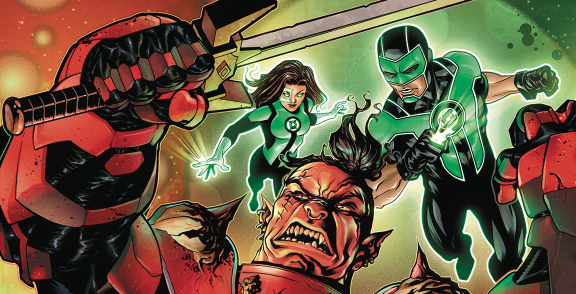 It’s great to see Tim Seeley having fun again in Green Lanterns 35 after spending so much time in the joy-deprived and muddled world of his Nightwing run, and introducing Bolphunga into the mix lets Seeley cut a little looser than he did in Green Lanterns 34. This article contains SPOILERS. If you haven’t read the issue yet, read on at your own risk! Today, Shelby and Taylor are discussing Phantom Stranger 2, originally released November 14th, 2012. Shelby: To me, the Phantom Stranger is a very old-fashioned kind of “hero.” There’s virtually no way to make the hard-boiled, fedora-wearing, mysterious man in the shadows seem like anything but old-fashioned. With his current origin as (probably) Judas Iscariot, he fits into that nebulous, religious category with The Spectre (of God’s Vengeance, for those of you keeping score). Unsurprisingly, he’s in here too; also not surprising, he’s an old-fashioned, hard-boiled detective. 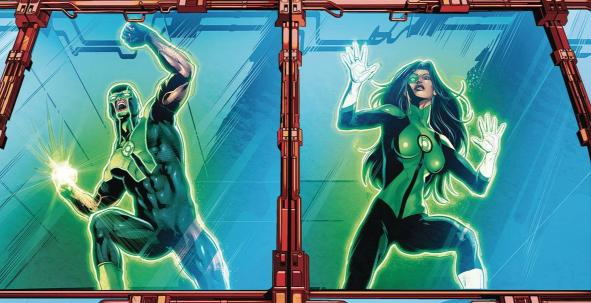 So, when Dan DiDio includes these characters with far more contemporary references, like kiddie soccer games and Star Wars quotes, it doesn’t fail so much as it just feels disingenuous. Today, Mikyzptlk and Shelby are discussing Justice League Dark 13, originally released October 24th, 2012.